When it comes to paying off your credit card debt, you may not be sure where to start. 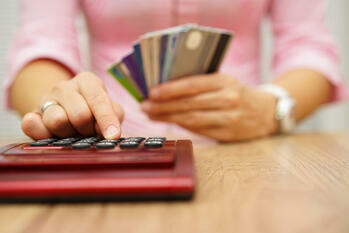 According to NerdWallet, the average American household carries over $16,000 in credit card debt. Without a plan, managing this amount of debt could seem almost impossible. Here are some tips to help you get started down the path to a debt-free life. You can’t pay off your debt if you don’t know how much you have. Collect all of the debt you have, along with the interest rate, and write it down. A great way to do this is by calculating your net worth. In the long run, this will help you save money over time because of interest. Getting rid of the highest interest rate first will help increase your credit score a little quicker. If you’re a person who thrives on checking things off on a list, start with the smallest balance you have. This is a great way to get individual cards paid off quickly. Pay off your loans quicker and lower your monthly payments with a Consolidation Loan from Cyprus Credit Union. Our consolidation loans allow you to refinance all of your high interest rate loans into one, convenient, low rate loan. Plus, with four choices of how to consolidate, you can find the option that best fits your needs. Save time, save money, get started now. Once you get one card paid off, invest that extra money into another card and so on until everything is paid. The last thing you want to do while paying off credit card debts is rack up even more debt. Try to reduce the amount you use your credit cards. It may even help to stop using them altogether and use cash/checks exclusively until the debt is gone. Once you’re out of debt, don’t rush off to cancel your cards. It’s important to leave older lines of credit open in order to help your credit score.